Fun Ideas and Beautiful Jewelry from a Fabulous Mother/daughter team! 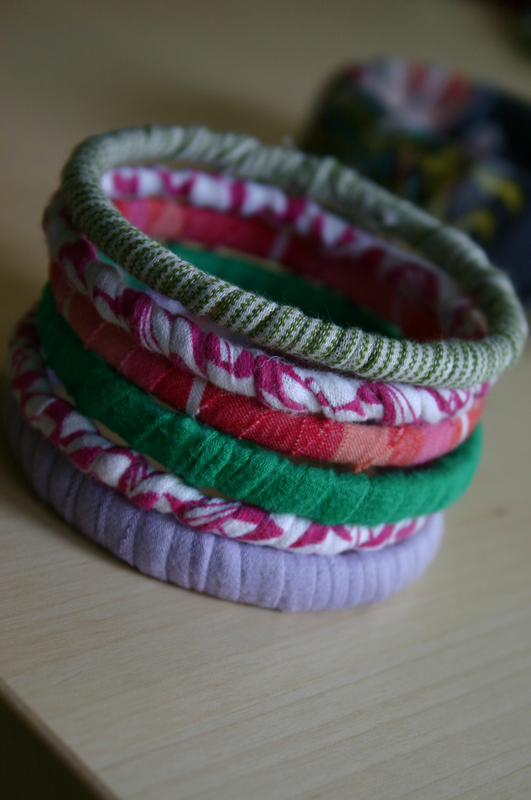 For this project you will need some old t-shirts and a bunch of bangle bracelets. 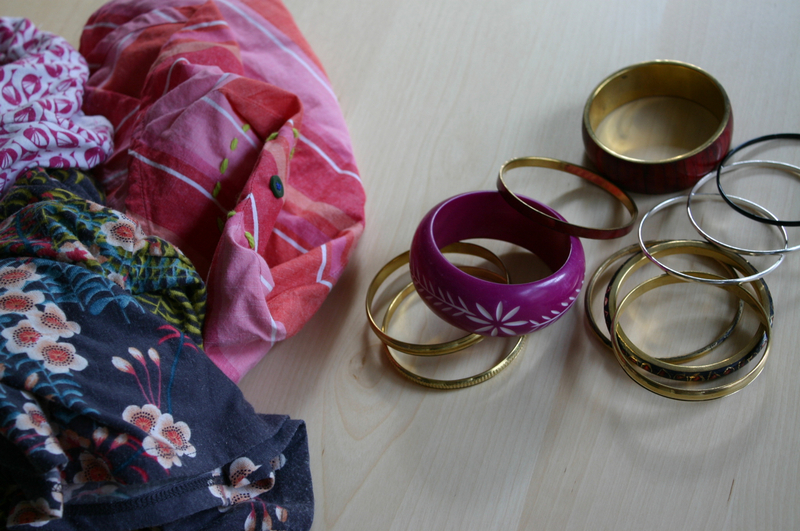 Try using old bangles that you already own, check thrift stores or pick up some up for a few dollars at Target, Walmart – or even the sale bins at Old Navy. 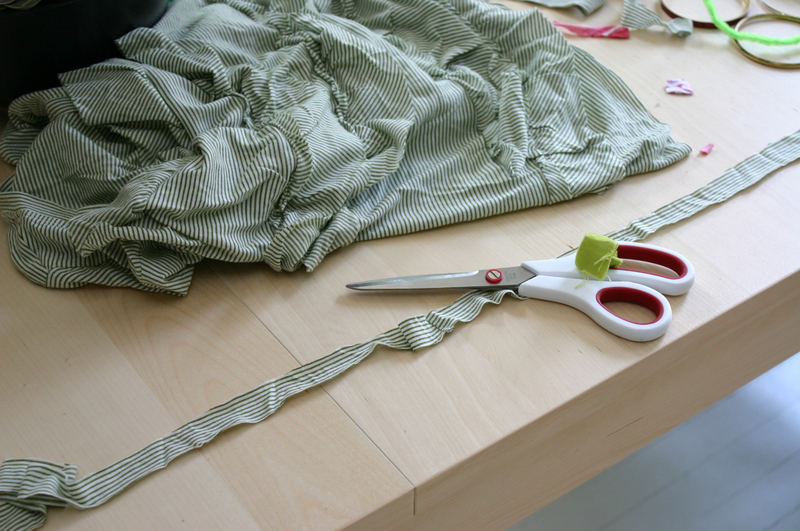 Cut t-shirt in 1/2" to 1" wide strips. 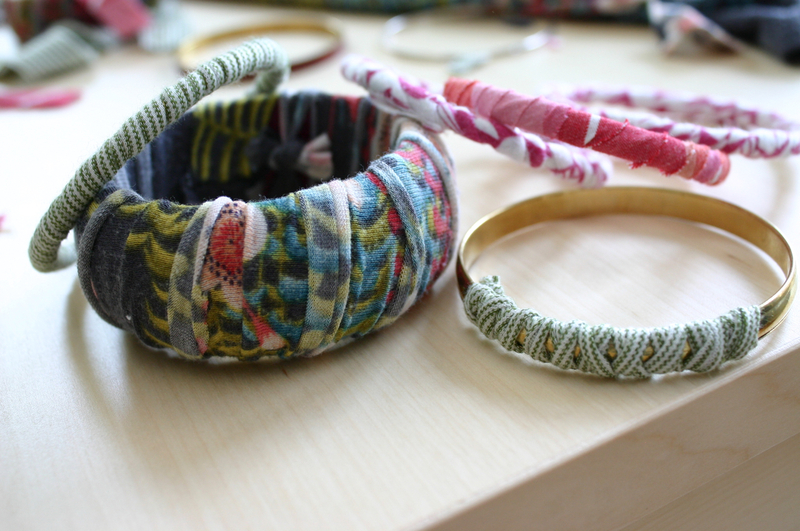 Depending on the thickness of the bangle – a thick bracelet will need thicker strips. 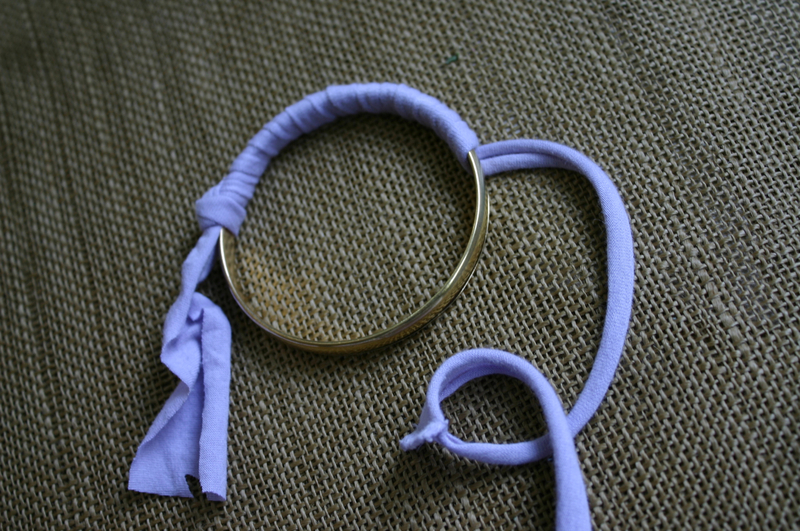 Loosely tie one end of the t-shirt strip to the bangle and start wrapping fabric around bracelet – the tighter the better. 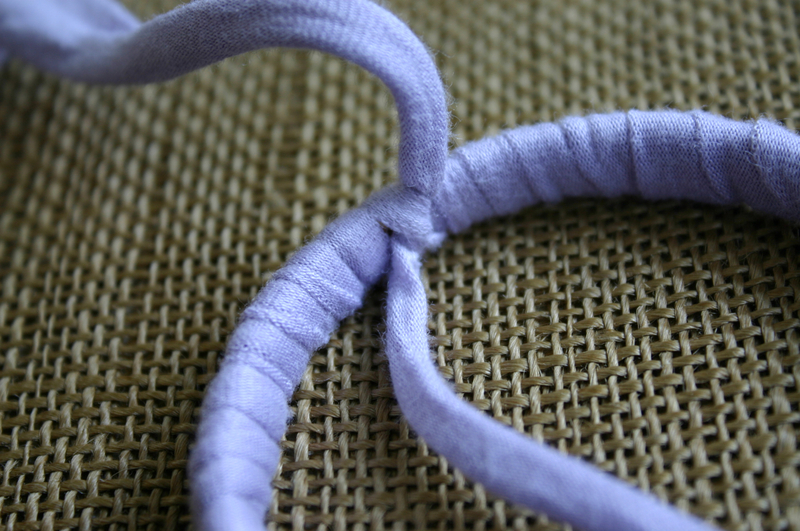 Wrap fabric all the way around until you meet the first knot – untie the knot and tie both ends together to close. 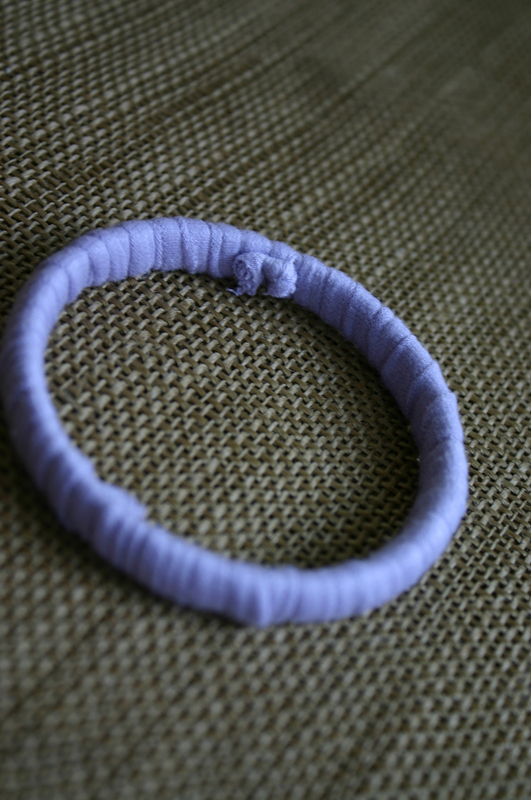 Make a double knot, pull it tight and make sure the knot is positioned on the inside of the bracelet. Trim ends with scissors. I found this technique worked well for us – but you could also use a glue gun to secure ends. So many possibilities and looks so easy. Can't wait to try it. Thanks for sharing with us.